Frequent travelers know airport rules and regulations around liquid carry-ons can be a pain. 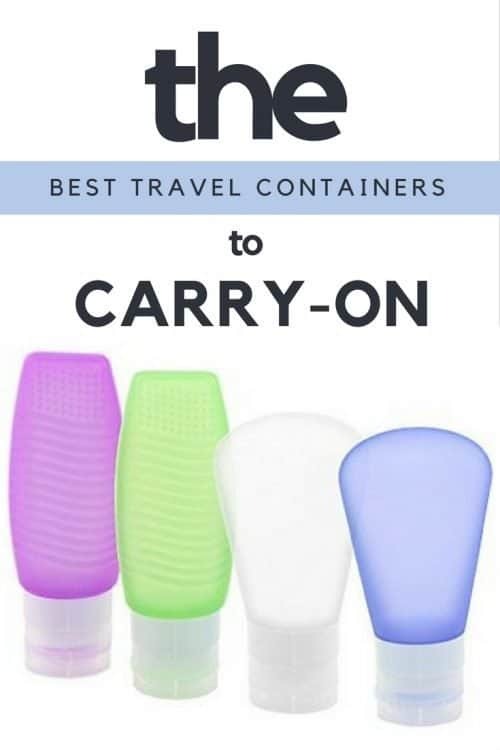 If you travel often with carry-on only luggage having your liquids in approved containers is really important. 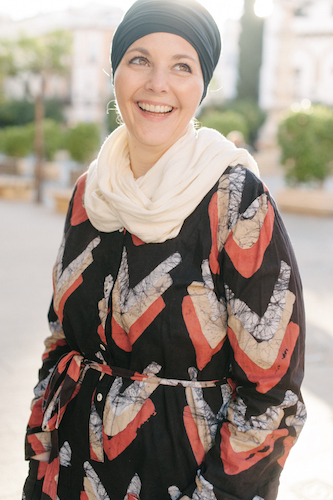 When you begin shopping for the right travel accessories the first thing you should keep in mind is that you should only be purchasing 100ml travel bottles. Anything larger won’t be accepted. I also like to have different colored bottles so that I can see at a glance what is in each container. If you’re in the market for new travel containers here are a few options to consider. 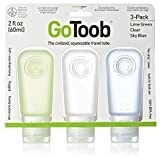 These are a pretty standard and inexpensive travel bottle set. If you’re someone that has a tendency to forget things in your hotel room or leave things behind you may not want to invest in something expensive. These are perfect. These are my personal favorite. I like that you can squeeze them easily without breaking them – especially helpful for things like hair conditioner. They’re colored but you can see through them and know when they need to be refilled. These little tubs are great for smaller things like pills or pastes. The containers are flexible and the lids pop off with a little squeeze so it can be done even with one hand. You never know when you might want to have them on hand. Make it easy and pick up this set to have all your bases covered! Use as many or few of the bottles as you like and have your TSA approved see-through 1 quart bag covered as well. 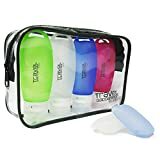 Carry-on friendly travel pouch with containers and labels. 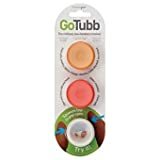 I like that these have different sizes and varieties of containers, especially the smaller ones with a screw on lid for thicker pastes. I never used to use packing cubes but I swear by them today. Not only do they keep my suitcase organized but I can put away my more delicate items so that they are not on display for the entire world should security decide to open my suitcase. 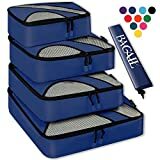 Not sure how to pack with packing cubes? Click the link for a great tutorial. Just like my clothes, I like to keep my cosmetic items in one place. I simply pull my bag out and put it in the bathroom where I can use what I need, when I need it without searching through my entire suitcase to find it. This is also great if you’re staying in a space with a shared bathroom so that you can keep your items separate.